Choose us, choose better! Don't be hesitated, come on! Cheapest RS Gold for Sale，Full stock,10 years professional, 100% secure,cheap&reliable, 5-10Mins trade.24/7 service online! All cooked: shrimps,salmon,tuna,bass,swordfish; 2 cut rubies, Antipoison potion , Any magic weapon,Normal spellbook and runes to cast all 4 elemental blast spells at least once. 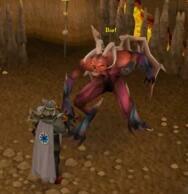 Welcome to RuneScape Help's Quest site .Quests are series of tasks in Runescape that players can choose to complete. Some quests require players to work together, and others require players to kill powerful monsters. Once a player completes all quests in the game, an achievement cape can be purchased from an NPC. Rewards depend on the quests’ difficulty. Rs2hot provides special RS quest service to help you complete the quest you want. Once you place the order, our professional gamers will help you get over all the difficulties you meet with and fulfill your dream. For members and non-members, we provide different types of quest services.For some skills / items, you should prepare the more Gold and supplies for the skill(s) you have chosen.You can buy cheap rs gold in here.